The Video Everywhere feature allows both students and instructors to upload videos anywhere the content editor is used. 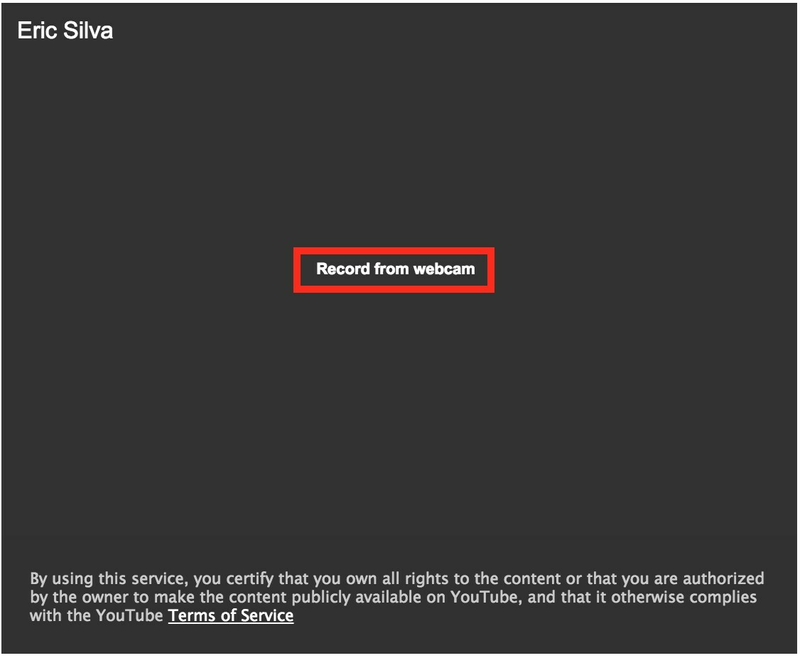 A Google account is required to use this feature as videos are uploaded to YouTube with an unlisted privacy setting. If your school provides you with a Google Apps (GAFE) account that account can be used as long as YouTube is enabled. From the content editor, click the webcam icon ( ). If prompted, allow Blackboard to use your webcam. 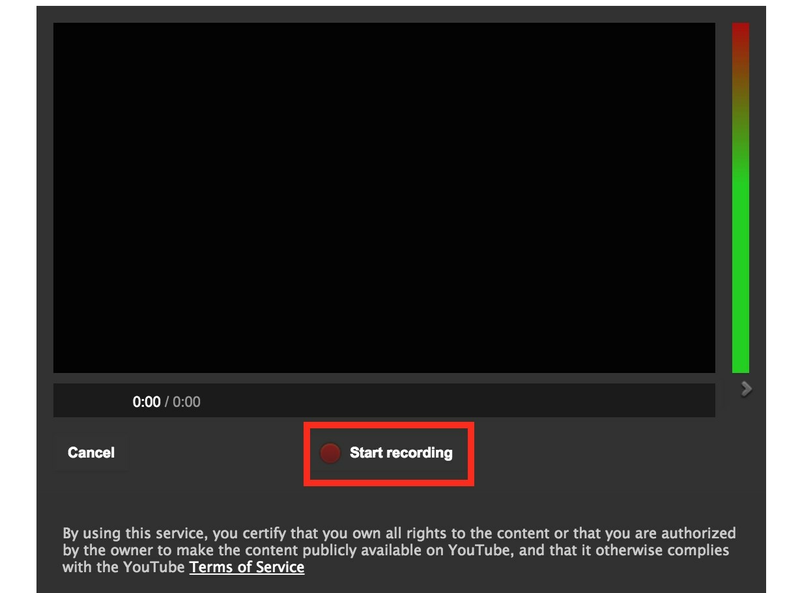 Click Start Recording to begin recording. When finished, click Stop Recording. If you are satisfied with your video click Upload. To redo your video click Start Over. To cancel click Cancel. Click Insert to embed the video into the content editor.